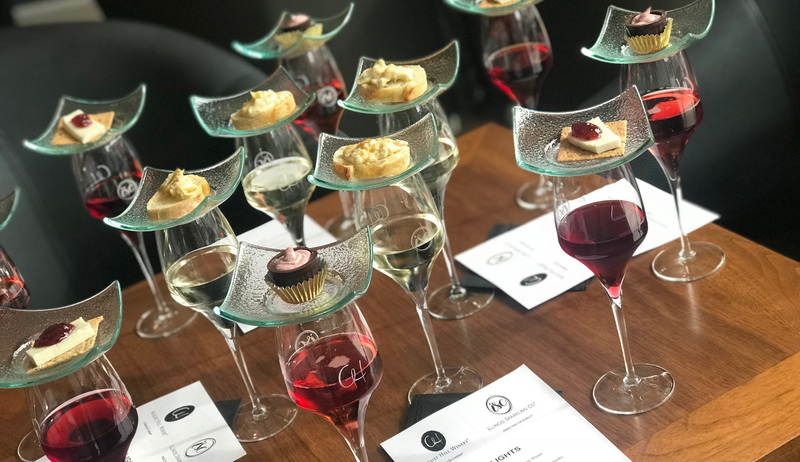 August Hill Winery & Illinois Sparkling Co., The Lone Buffalo, and Starved Rock Lodge teamed up to create an unforgettable event filled with wine, beer and food tastings. Our Flight Night Progressive Dinner is available the second Wednesday of each month, from November through April. Meet at Starved Rock Lodge at 5 pm, where the Starved Rock Trolley will take you on your tasting journey. Enjoy three delicious locally-made wines paired with small bites at the August Hill Winery & Illinois Sparkling Co. Tasting Room. At The Lone Buffalo by Tangled Roots Brewing Company, guests will try three small plates with beer pairings that the brewers have chosen to accompany each dish. Save room for dessert! The trolley will return to Starved Rock Lodge where the dinner will conclude with three after-dinner drinks and a trio of small but deliciously sweet desserts. Treat this evening as a night out or choose to add the overnight stay at Starved Rock Lodge to turn the evening into a mini getaway! The Flight Night Overnight Package includes your dinner, overnight stay and a $15 breakfast voucher for the next morning. Call (815) 220-7386 for more information or to book your overnight package.